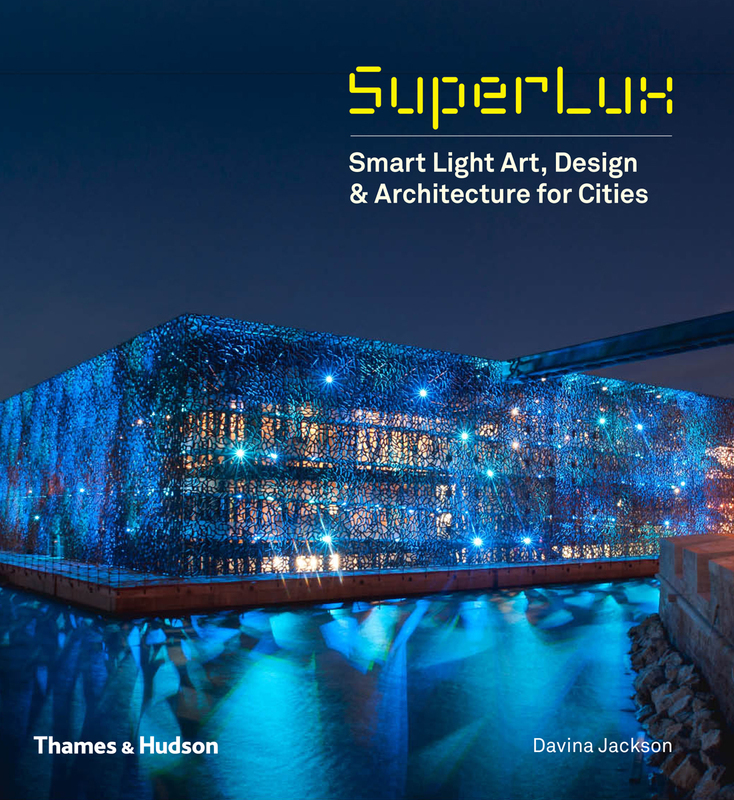 SuperLux: Smart Light Art, Design and Architecture for Cities, edited by Davina Jackson, is the world’s first comprehensive monograph surveying recent milestones and triumphs using digital systems for lighting urban environments. The book’s three main pictorial sections focus on projects that use light to animate architecture and media screens, new forms of lighting in industrial zones and public areas, and interactive installations in urban spaces. Its 272 pages include more than 400 images of post-2008 examples of energy-effective light installations – illuminated buildings, bridges, streets, parks, plazas, media walls, public interiors, water systems and gallery spaces, including interactions and augmented reality games using mobile devices. The images and editorial texts are punctuated by guest essays from leading European scholars and light art designers, including Professor Peter Weibel (founder-director of the ZKM Media Arts Center), Professor Mary-Anne Kyriakou (founder of the first three Smart Light festivals), Dr Vesna Petresin (multimedia artist), Dr Thomas Schielke (curator and writer), and Professor Peter Droege (Chair of the World Renewable Energy Council). Additional highlights of this timely volume are Dr Schielke’s Timeline of Luminous Structures since the 13th century, Professor Droege’s proposal for designers to subscribe to the SuperLux Code of Energy Conduct, European Space Agency photographs of cities at night from the International Space Station, and a list of notable city light festivals, approved by European festivals curator Bettina Catler-Pelz. The book has been approved by UNESCO as a contribution to the United Nations’ 2015 International Year of Light and Light-based Technologies. 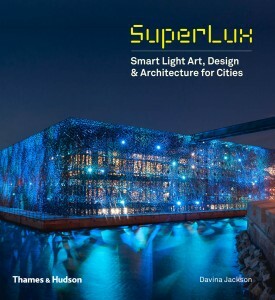 SuperLux: Smart Light Art, Design and Architecture for Cities is published globally by Thames and Hudson, London, 2015, ISBN 9780500343043. Cover photograph (above) shows Mer-veille, a LED installation by Yann Kersalé, illuminating metal filigree screens around the new MuCEM building in Marseille, by architect Rudy Ricciotti. Photo Lisa Ricciotti/MuCEM. The book’s Australian press release is here and the international press release is here.